Day 2… What did we do? 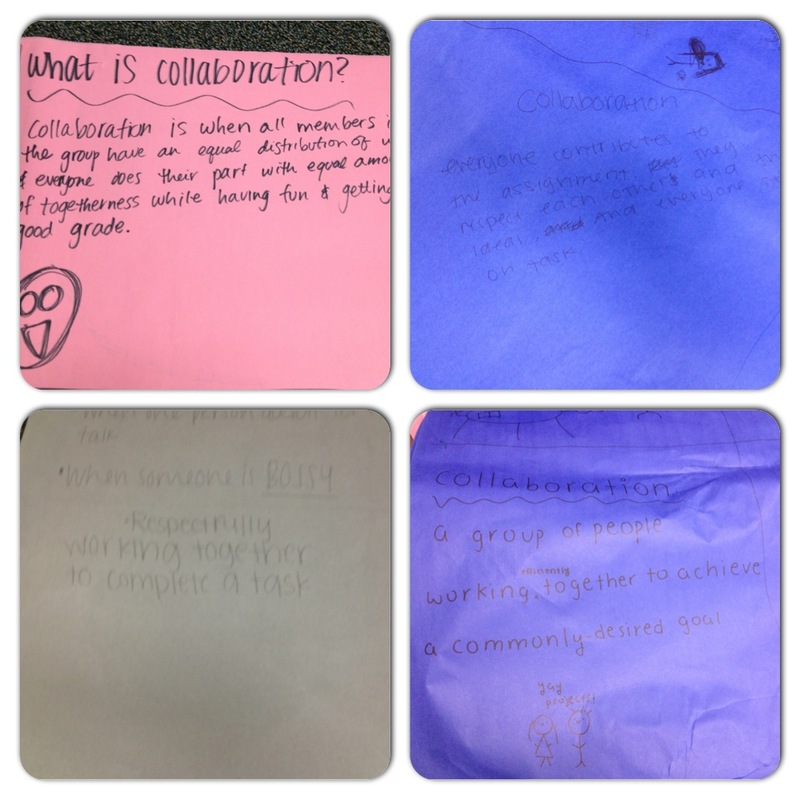 Yesterday we collaborated about collaboration in one of the collaboration spaces in our school :). I LOVE the collaboration spaces in our school; two are empty, two are furnished with tables and chairs. 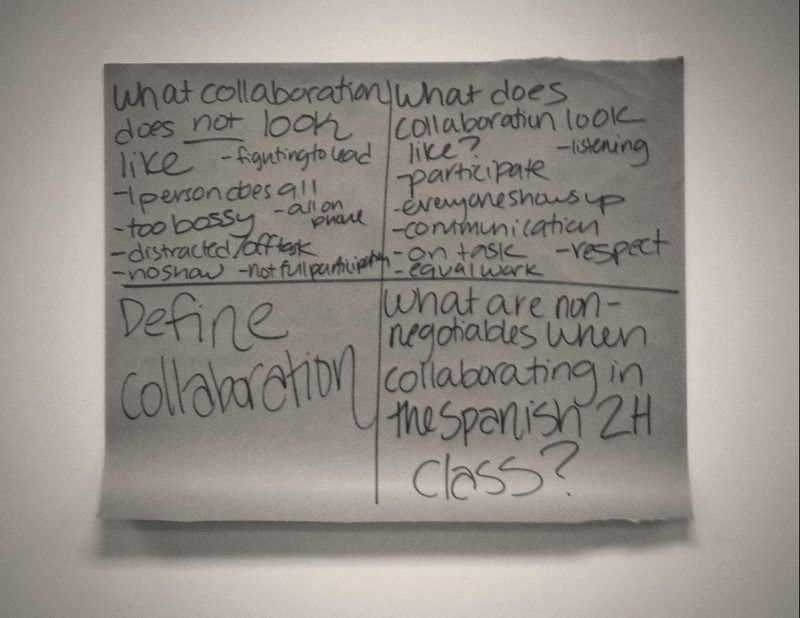 The empty ones are great for activities like Philosophical Chairs and the furnished ones are great for group collaboration–I especially love to move there for learning stations because it means I don’t have to rearrange my classroom. My friend and colleague, Rebecca Gould, did a similar activity last year, though I improvised when I could not exactly recall how she did it.